NOTICE OF PUBLIC SALE: To satisfy landlords lien. Sale date is on May 4, 2019 at 10:00am by Bond & Bond Auctioneers 2301 N. Cesar Chavez Rd. San Juan Texas 78589 Property will be sold to the highest bidder. Bidder is responsible for cleanup of units. Brownsville #718 Ian Ferrier wooden kayak molds, #242 Anastasia Lawrence shelf, box, tent. Weslaco: #550 Robert Woods boxes, shelf, plastic trays. 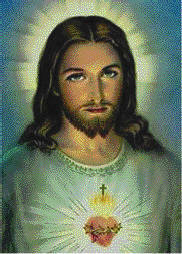 Dear Heart of Jesus In the past I have asked for favors. This time I ask you this very special one (mention favor). Take it, dear Jesus and place it within your own heart where your Father sees it. Then in your merciful eyes it will become you favor, not mine. Amen. Say this prayer for 3 days, promise publication and favor will be granted. Never known to fail. R. M.
Lung Cancer? And Age 60+? You And Your Family May Be Entitled To Significant Cash Award. Call 844-457-7507 for Information. No Risk. No Money Out Of Pocket. PRICED TO SELL! Mausoleum lot 9T, Restlawn, La Feria, Tx. $2,800. Call (956) 970-7964 Ledezma.